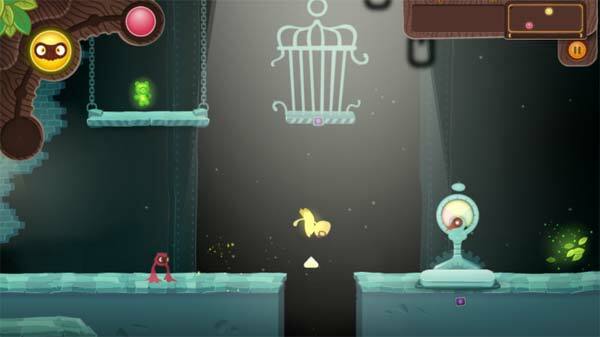 Mini Ini Mo is a fun puzzle adventure game developed by Gilp. Your job is to manage three brave tiny magical creatures and help them find their way back home. Teach them how to work as a group and show that teamwork can beat any puzzle. The game features beautiful constructed worlds and handmade animations, challenge your puzzle solving skills and test your brain trying to collect all candies. If you need help you could check out the below video walkthrough for the game of Laboratory episode from level 1 to 12. This entry was posted in Android Games, iOS Games, Mobile Games, Walkthrough and tagged Mini Ini Mo, Mini Ini Mo Cheats, Mini Ini Mo Gameplay, Mini Ini Mo Laboratory, Mini Ini Mo Laboratory Walkthrough, Mini Ini Mo Solutions, Mini Ini Mo Walkthrough by Marvin. Bookmark the permalink.